"Oh, Wampu, all art is a weapon... in the right hands." This is entirely true. Here, quite literally so. 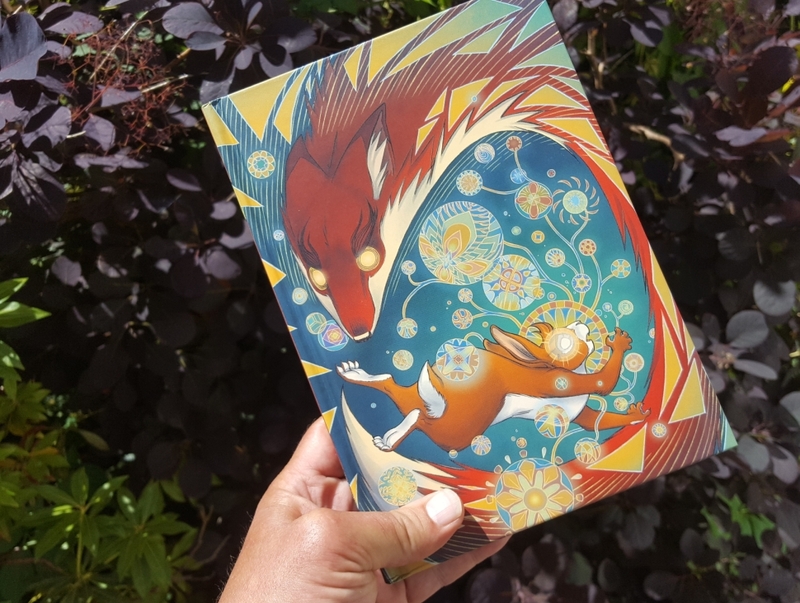 A glance under this book's dustjacket hints at how, and it is breathtakingly beautiful, like a modern stained glass window, as a fox and a rabbit do desperate, whirlwind battle. 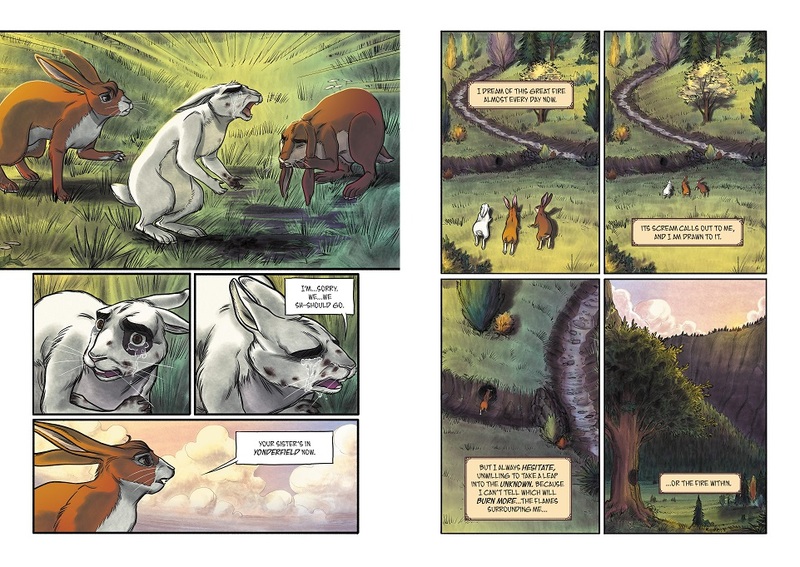 A further glance inside the cover itself is rewarded by endpaper maps of the countryside surrounding the rabbits' warren beside The Blue Heart Lake, in a valley between craggy ridges: Goldenseed Meadow and the Wavering Wood overlooked by Stillbreeze Peak. 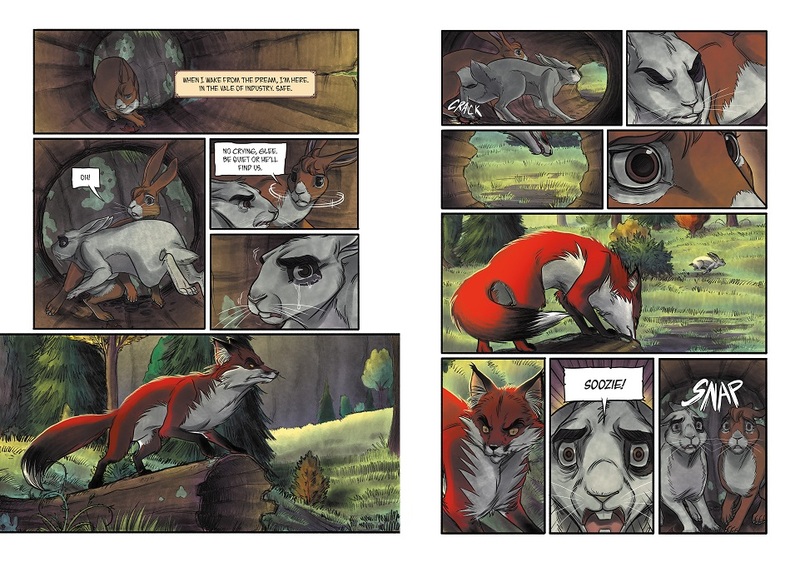 You'd be forgiven if by now you're expecting something akin to 'Watership Down' but, prologue aside, it's actually much closer to MOUSE GUARD, the animals and their habitat more anthropomorphised, their burrows quite habitable to humans. 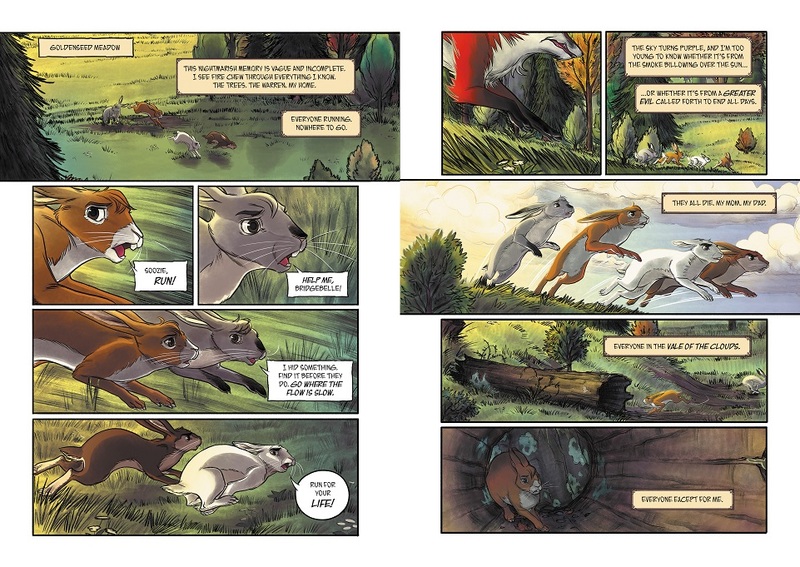 While we're on the subject of MOUSE GUARD, however, if you thought the world-building was impressive there, this is on another level entirely, and you'll find a rabbit scholar's notes on Lavender's known history, industry, religion and magic. Magic, art and the potential to weaponize it. The rabbits' industry involves refining their natural source of energy, carrots, into another source of energy entirely, called cha. 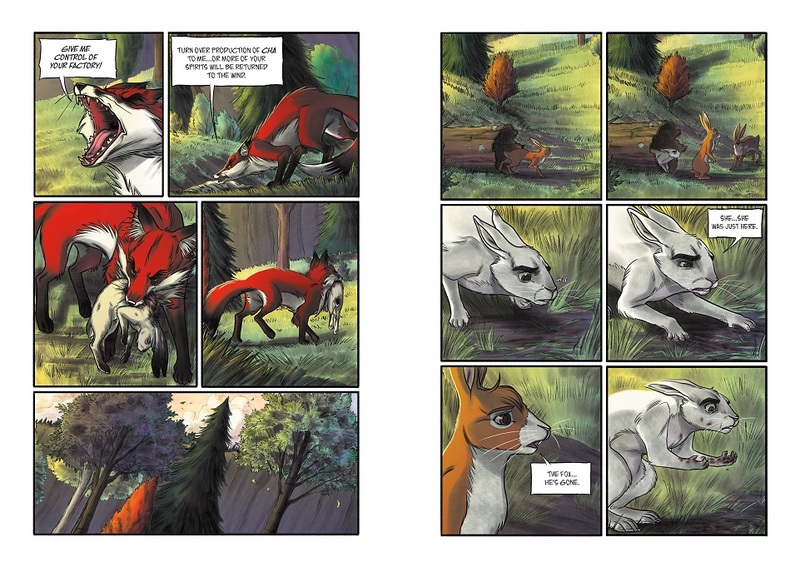 This heats and lights their warren, but in skilled paws like Bridgebelle's and her former tutor Thom Crocket's, can turn sticks and stones into beautiful and intricate glass artefacts called thokchas. To those more pragmatic and less inspired, this is regarded as a frittering waste of raw material. To others, the crystalline thockchas are merely a halfway house, for 'detonating' them with a twist causes a dazzling and potentially hallucinogenic display. It's possible to become addicted. At a pivotal moment, however, Bridgebelle will discover another use for them entirely. "I hid something. Find it before they do. Go where the flow is slow." I really do think that's all you need. The rabbits in flight are fluid as you like, and lithe when turning at breakneck speed. The detonated thockcha visions are truly blinding, and you'll love the skeletal Scapegraces whose feathers are formed from a purple, miasmatic mist. "Everyone is afraid of something."